The next game we are going to analyze was played in Round 5 of my recent tournament. While it is relatively short, we can still learn from it the importance of identifying threats against you, especially when the activity takes place on opposite wings. 11. dxe5 Nxe5 White must lose tempo retreating the bishop. 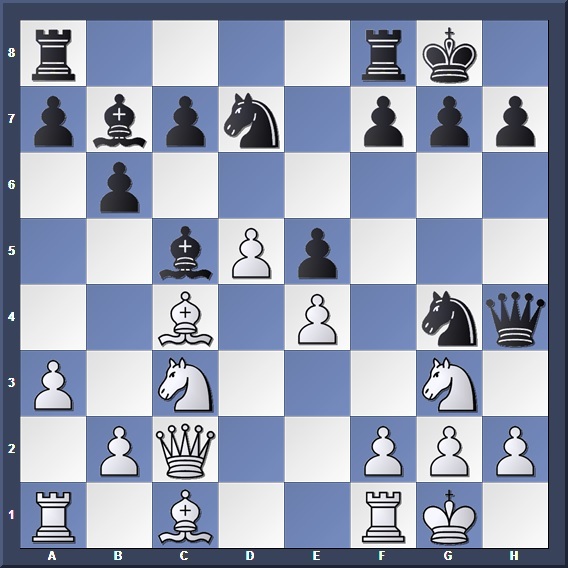 With the bishop developed, White can connect his rooks and maintain pressure on the d-file. Taking aim at f2. In the process of realizing his plans on the queenside, White has left few defenders on the other wing. Defending f5. 13. h3? Nxf2 14. Rxf2 Bxf2+ 15. Kxf2 f5! Opening the f-file. White will have an exposed king and a weakness on d5. This was what White missed. Now he must give up a pawn to survive. 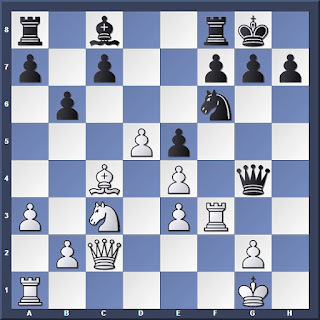 White relieves the pressure against his king at the cost of ruining his pawn structure. 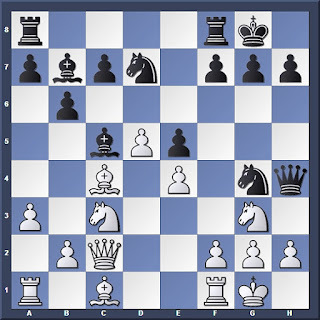 Black is up in material with a better pawn structure. The game was eventually won after a few more mistakes by White. 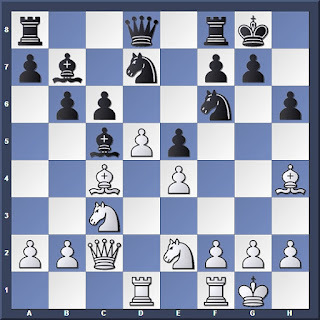 When White brought his pieces to the queenside, he stripped the other wing of defending pieces. 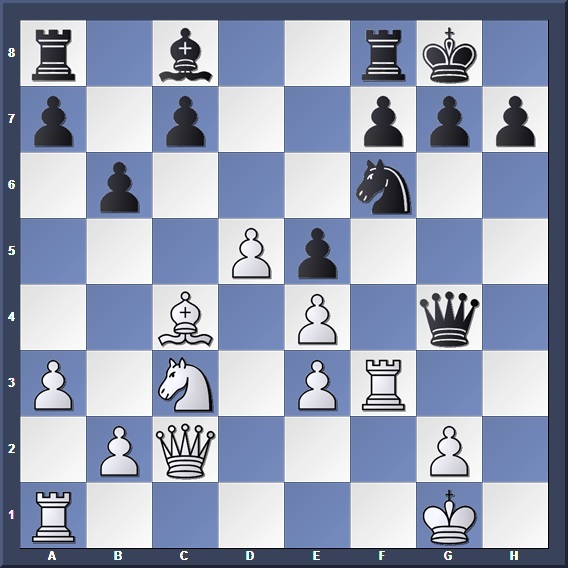 Thus, the best way for Black to respond was a counterattack on the kingside. 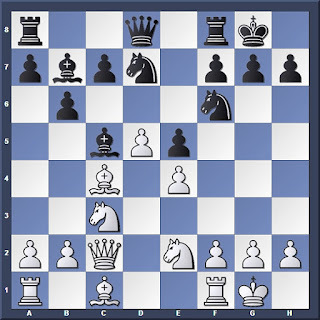 Tactics is not just about looking for threats against your opponent; you need to be aware of threats against you! Development with threat is an effective way to save tempo.